Bo De Long-Cotty is a developmental psychologist and has worked for WestEd since 1991. She currently serves as a pro­ject director in the WestEd Math, Science, and Technology program and as director of the Learning and Teaching with Technology initiative for the WestEd Regional Technology Education Consortium (RTEC). Her work at WestEd includes directing pblnet.org, a project-based learning resource, guid­ance, and collaboration site for teachers; providing informa­ tion and resources to families and teachers to promote community–home involvement in schools; evaluating educational software and online curricula for Grades K–12; and evaluating and developing teacher profes­sional development programs and projects. She is also Director of Educational Content for Alligator Planet, an animation company whose work includes children’s educational television programming. Dr. De Long-Cotty has served as director of evaluation for several science and math programs at the Lawrence Hall of Science at the University of California, Berkeley, as director of the GALAXY Classroom Science and Language Arts Evaluation for Teacher Universe/Riverdeep Publishing, and as director of evalu­ation for NASA’s online Celestia Solar System activities. 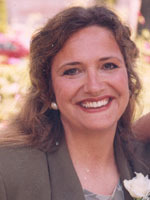 Until 1995, she served as coordinator for the WestEd evaluation of the California Statewide Systemic Initiative, focusing on K–5 science and 6–8 mathematics. She has also developed multimedia curricula and products in language arts, math, and science for Disney Ed Studio and Holt, Rinehart, and Winston. Dr. De Long-Cotty earned an MA in developmental psychology from Teachers’ College/Columbia University and a PhD in developmental psycho­logy from the University of California, Berkeley.